If you or a loved one has been injured in an auto accident, work with an attorney who fights relentlessly to get you the monetary damages you need for pain and suffering, medical bills, property damage and lost wages. At the Law Office of Robert Olkowitz, P.C., we have decades of experience serving people throughout the state, giving us the knowledge needed to achieve an outcome that puts you in a solid financial, physical and emotional position. We're compassionate in our meetings with you, yet aggressive both in and out of court -- the perfect combination for success in your personal injury case. Auto crashes can involve head-on collisions, side collisions, rear-end collisions and rollovers. We advise you on the best steps to take after an automobile accident regarding your own personal injury, passenger injuries, other bodily injury claims and any property damage done to your car. Determining fault. The first step for us is to listen to your account of the accident and thoroughly investigate the circumstances that caused it. This helps us determine fault, which in turns gives us the ability to begin seeking monetary damages for you. Working with insurance companies. In many cases, our experience in personal injury law allows us to efficiently come to a favorable agreement with the insurance companies. Our car and truck accident lawyers know the best techniques to find a swift resolution that allows you to move on successfully and focus on your physical and emotional recovery. 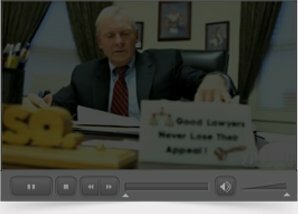 Assistance with litigation. If you need to go to court to receive the compensation you deserve, we fight aggressively on your behalf. We collect evidence in your favor and build a strong case for you and your family. Auto accidents don't just involve crashes between two cars, motorcycles, vans or SUVs. Our auto accident lawyers can also assist if you've been injured because another motorist failed to watch out for you on the road. If you're suffering after an auto accident that wasn't your fault, contact the Law Office of Robert Olkowitz, P.C. online or call 732-741-7444. You pay no attorney's fees unless your case is a success. We proudly serve people throughout New Jersey from our offices in Red Bank.